Fried Buttermilk Chicken Tenders, so juicy on the inside and cripsy on the ouside. Better than any take away, this recipe is super easy to make. It’s been ages since I last had fried chicken, it’s not quite something I would eat regularly. I do, however, eat chicken often, but cooked differently, usually stir-fried, baked or grilled. Fried chicken is more like a very naughty treat, and, like any treat, it tends to become the forbidden fruit, especially if you are trying to watch your waistline. It is so delicious tough, that it is hard to resist it. It is not hard to guess that the secret behind its juiciness and deliciousness is the buttermilk. It gives the chicken a sublte flavour that is hard to match. Buttermilk is usually used to make fluffy pancakes and I recently used it for my Traditional Irish Soda Bread (No Yeast). Who would have thought that it can be used for such a wide range of recipes? This chicken has to be marinated in advance, ideally overnight, but, if you do not remember to marinade it the night before, I would say at least 4 hours before cooking it. Apart from the marinade, the chicken is ready really quickly. To speed up the process, and to get a tender chicken, I would then tenderize it a meat tenderizer or the good old rolling pin. 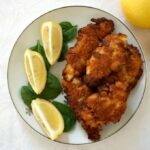 If you are looking for a recipe of fried chicken without using buttermilk, I highly recommend The Ultimate Chicken Schnitzel. The cooking method is pretty similar, but it is as delicious. And it needs no marinade. For the fried buttermilk chicken tenders I used flour to coat them in, but panko crumbs or regular breadcrumbs can be used as well. Usually beaten egg is used in recipes of fried egg to help the breadcrumbs stick to the meat, but since we use buttermilk, no eggs are needed here. As for the seasoning, you can choose how spicy or mild you want the fried buttermilk chicken tenders to be. You can just use salt and pepper, or give them a spicy kick by using chilli peppers or cayenne peppers. Garlic and onion powder, different fried herbs works beautifully too, as well as a bit of lemon juice drizzled over the chicken tenders once they are ready. 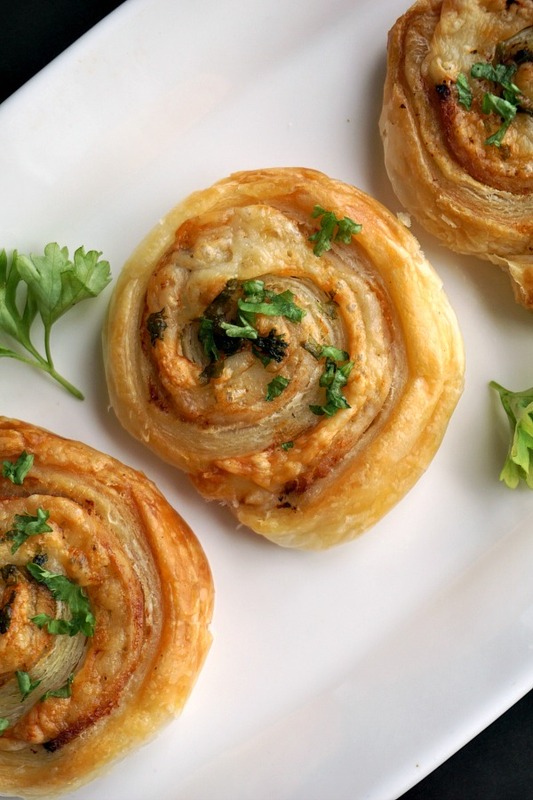 Do give the recipe a try, it’s highly addictive, and super easy to make. The tenders will be gone in seconds, so perhaps make a larger batch? 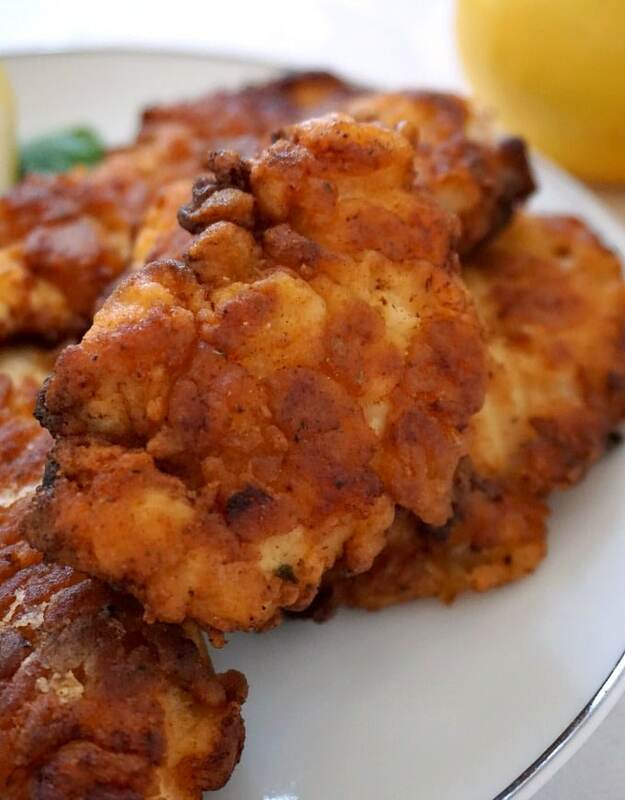 If you’ve tried this FRIED BUTTERMILK CHICKEN TENDERS or any other recipe on the blog then don’t forget to rate the recipe and let me know how you got on in the comments below, I love hearing from you! You can also FOLLOW ME on FACEBOOK, and PINTEREST to see more delicious food and what I’m getting up to. Fried Buttermilk Chicken Tenders, crispy on the outside and tender an juicy on the inside, this is the ultimate chicken recipe. Cut the chicken breasts into strips, then use a meat tenderizer to bash the chicken well. 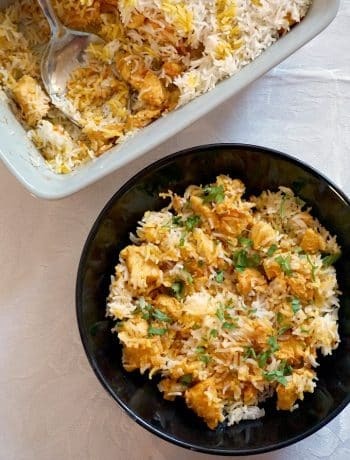 In a large bowl or plate, mix together the buttermilk, baking powder and spices, coat the chicken strips with the marinate, and refrigerate for at least 4 hours, ideally ovenight. 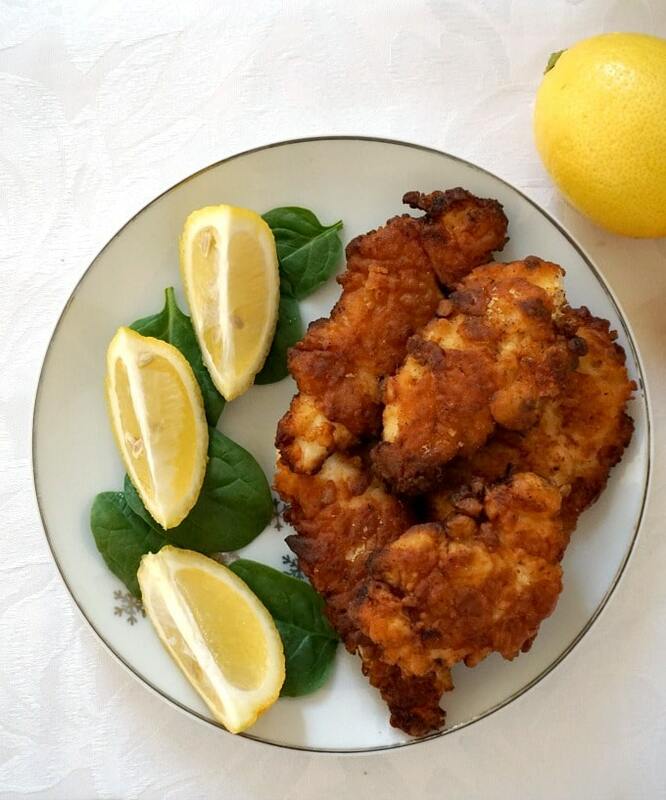 Coat the buttermilk chicken tenders with flour. Heat up oil in a frying pan, add the chicken tenders and fry on both sides until golden brown. 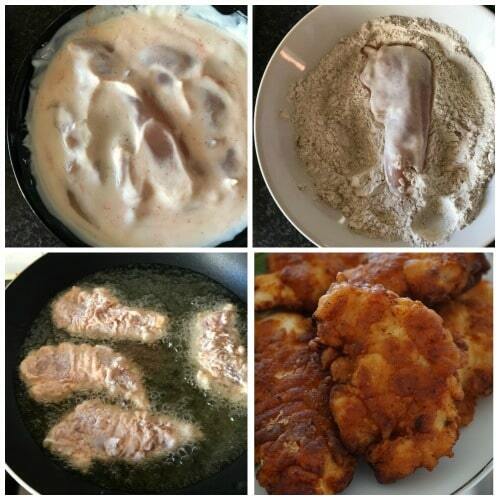 Remove from the pan and place the chicken tenders on a plate lined with kitchen paper to remove the excess oil. 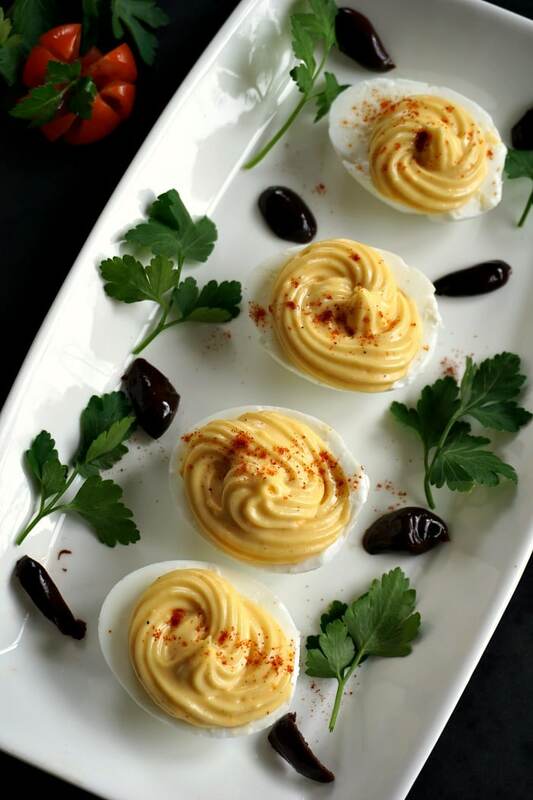 Serve hot or cold with lemon juice drizzled over, or with your favourite sauce.